The Korean Food Foundation & The Ministry for Food, Agriculture, Forestry and Fisheries recently launched Taste of Korea NYC to promote Korean food and restaurants in the city. Using a mobile food truck, they served free lunch every day this week and will continue to do so every weekday through May 20th. The first week kicked off with sliders from Danji. 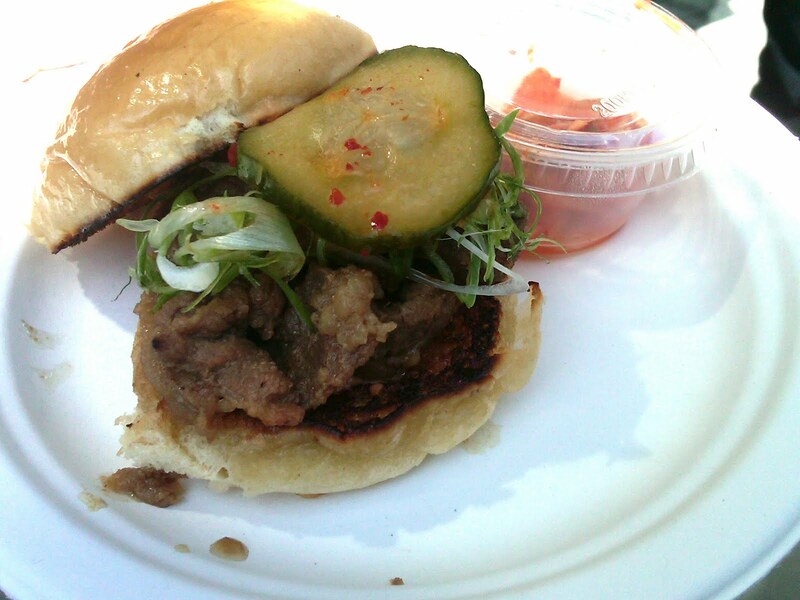 Bulgogi Brisket Slider. The bun was buttered and crispy, the beef was seasoned perfectly. SO tasty. 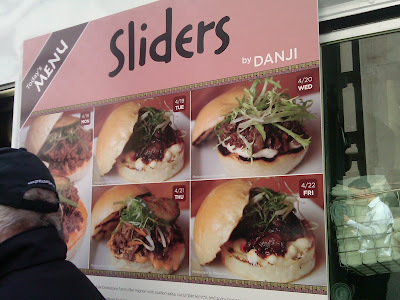 The menu for the different sliders this week.